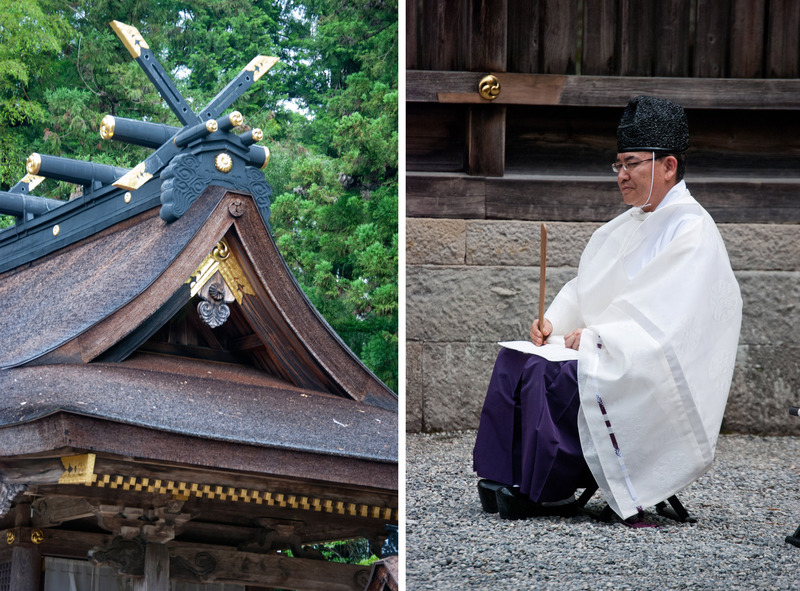 On my recent trip to Japan, I visited the village of Tanabe specifically to tour the shinto shrine of Kumano Hongū Taisha. As we walked up the 158 steps to the shrine we noticed many people carrying tiny, white packages covered in red writing. We finally asked a woman what was in the package and she told us they were umes, a fruit similar to plums. She enthusiastically explained that the temple was having a ume festival at that very moment and directed us to a table covered with the packages. 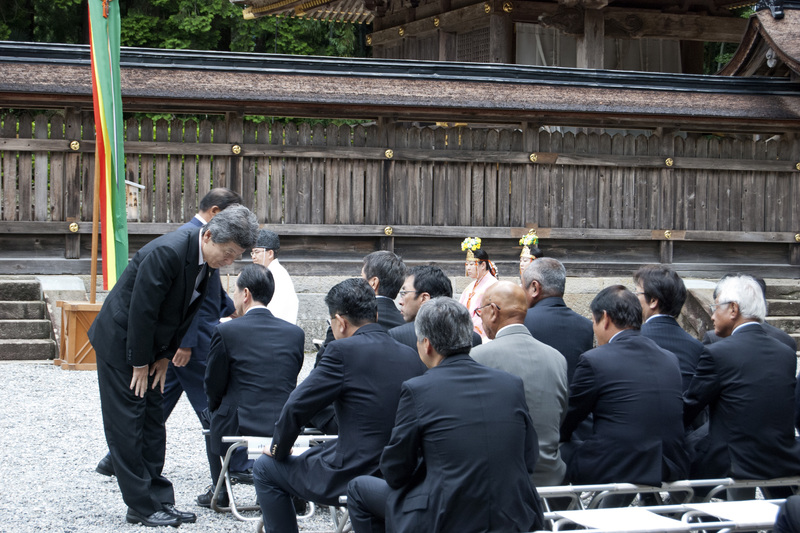 We noticed a crowd gathering at the entrance of the shrine so we walked over to investigate. 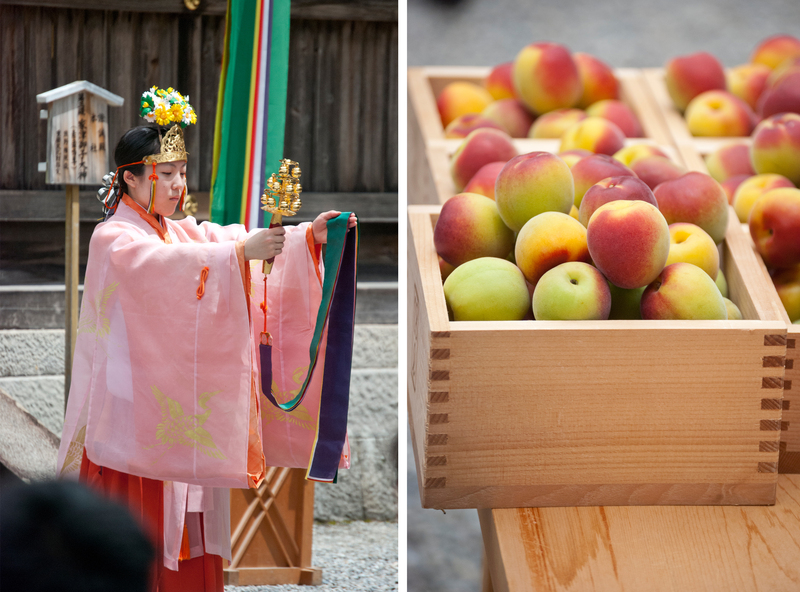 To our delight there was an elaborate ceremony going on to kick-off umeshu or ume wine season. In the states we call umeshu plum wine, but apparently this is a misnomer. Umes are similar to plums, but not actually plums. Here is a diagram explaining. 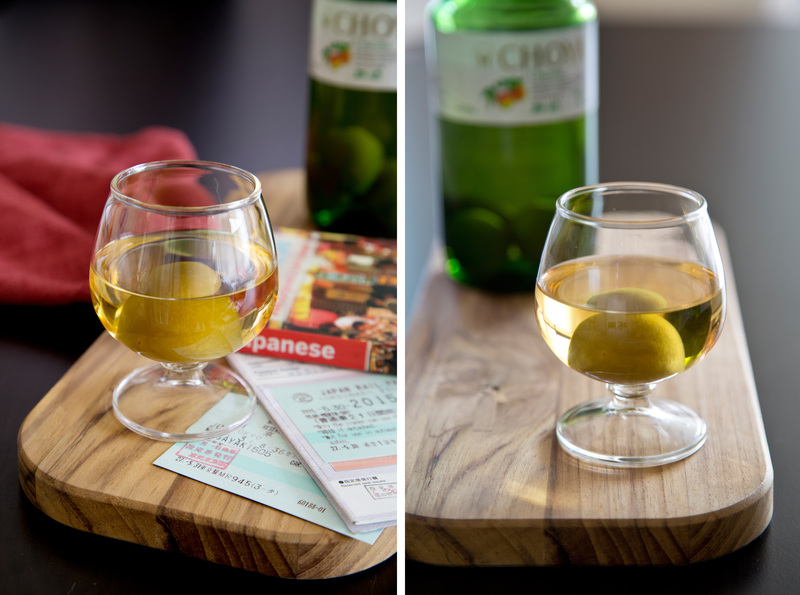 Here is a diagram from the Choya Umeshu website explaining the differences. We respectfully stayed in the back of the shrine watching the festivities, but I suppose our obvious tourist appearance made us stick out and several people came up to us to ask where we were from and if we were enjoying the ceremony. This drew more attention to us and a short time later two Japanese news stations came over with cameras and started interviewing our friends, Matthieu and Barbara, who speak Japanese. My husband and I were pretty glad to not be able to speak Japanese in that moment. My interview would have been sad and short, “hello”, “I’m sorry” and “thank-you very much”. Unfortunately our lack of speaking/understand Japanese did not help us escape media coverage. We soon found ourselves being handed boxes of umes and through gesturing were asked to join the ceremony by pouring the fruit into a large bucket. We stood in a long line of people solemnly pouring boxes of plums, that aren’t really plums, into a container as cameras and microphones captured every moment. As I stood in line, acutely aware of the cameras focusing on me, I wondered why I had worn such an ugly shirt that day and why hadn’t I bothered to slap a little bit of lip gloss on. The day before, when there was no national coverage of my vacation, I was so pulled together. Jeez. Despite my nerves and insecurities I was quite honored to be asked to participate in such a formal ceremony. I managed to get my umes in the container without tripping over myself or spilling any on the ground. After successfully placing the umes into the barrel (under the scrutiny of spectators and cameras) we receded to the back corner of the shrine to watch the rest of the festival. Many people spoke, which of course I couldn’t understand and men in suits lined up and poured alcohol over the umes and carried leaf covered branches into the shrine. 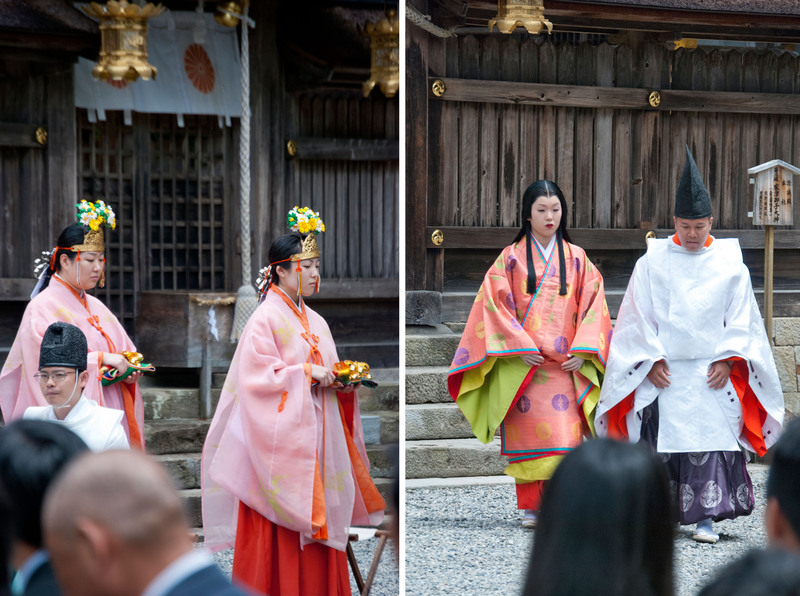 There was even a beautiful dance performed by two women in kimonos and headdresses. They danced with bells, making them ring only at specific moments. I had no idea what was going on, but despite this it was stunning and I actually felt moved by the elegance of it all. Toward the end of the ceremony the head priest of the shrine brought us gifts for attending the ceremony. I couldn’t believe it! At this point I desperately wanted to be able to speak Japanese to so I could fully express my gratitude. I bowed and say “Doumo arigatou gozaimasu” over and over, but that didn’t quite convey my gratitude at people’s amazing generosity and kindness. 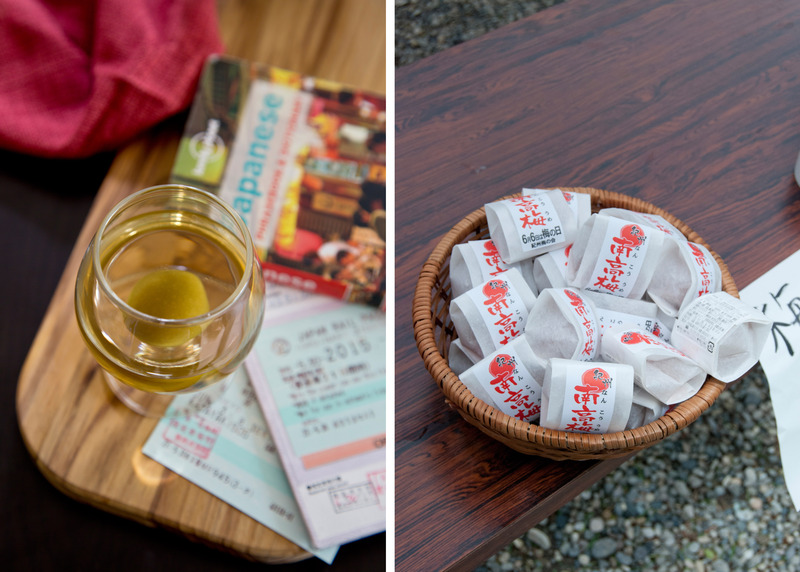 The ceremony ended with everyone toasting with a small glass of plum wine. 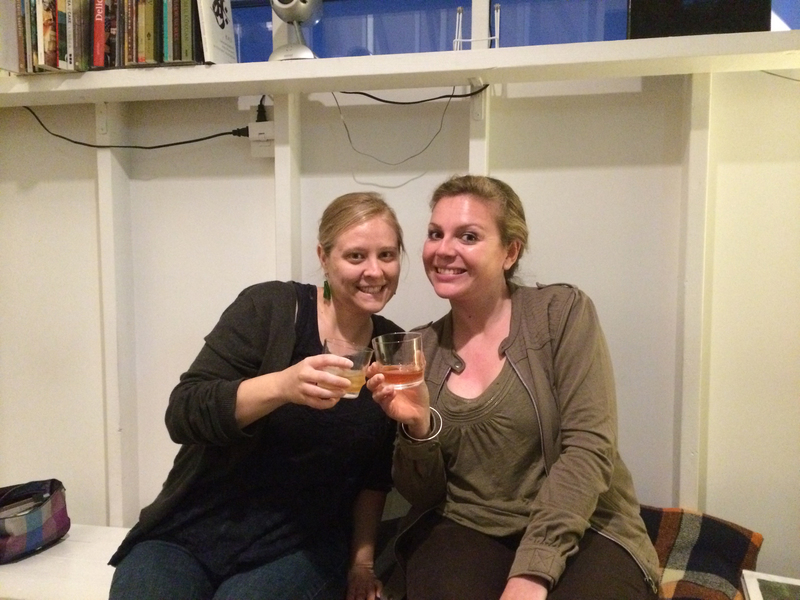 I learned that Japanese for ‘Cheers’ is ‘Kanpai’ which literally means empty cup. 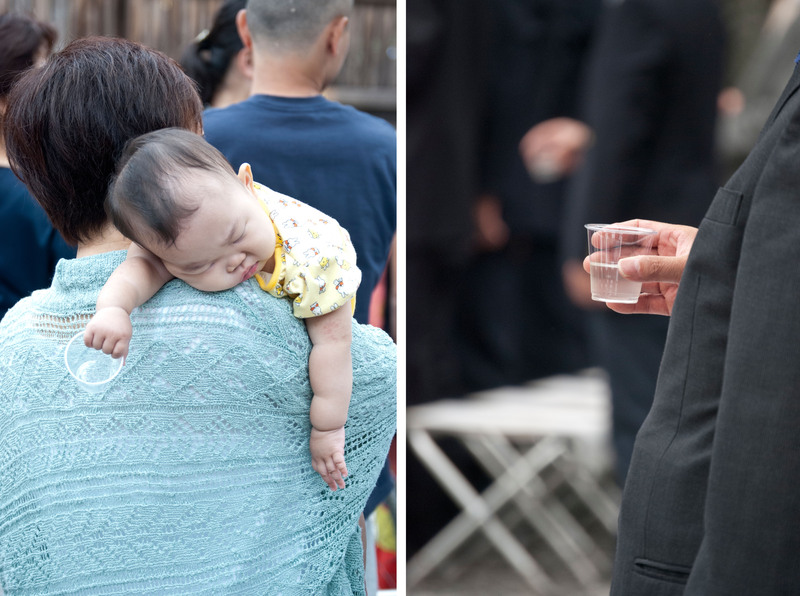 A baby at the festival over indulged and passed out. Ha ha! Just kidding. She was playing with an empty cup and fell asleep, but I thought it was a funny picture. Later that evening we enjoyed a glass of the wine in our hostel. Kanpai!! 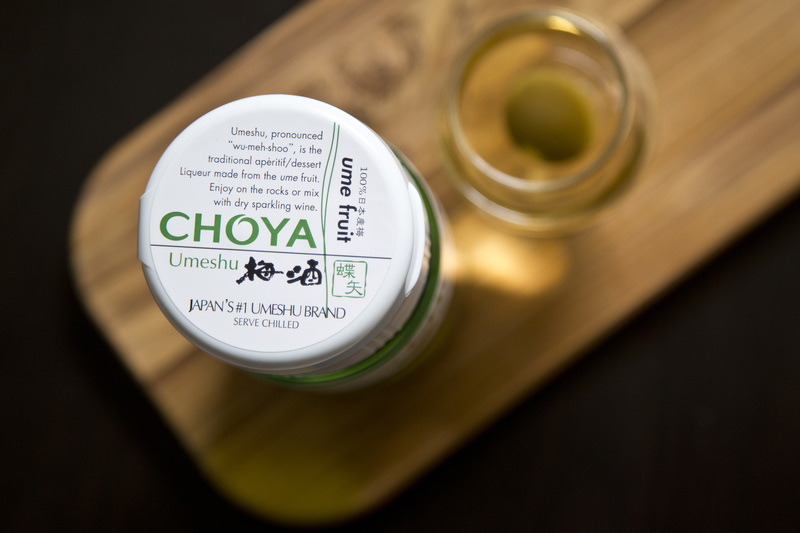 When I got home to the states I bought some umeshu at the grocery story. It made me all weepy and nostalgic for Japan. It is delicious and if you haven’t tried it I highly recommend giving it a go, especially the Choya brand. Their website has many delicious cocktails to make with it, though I like it just straight and chilled. 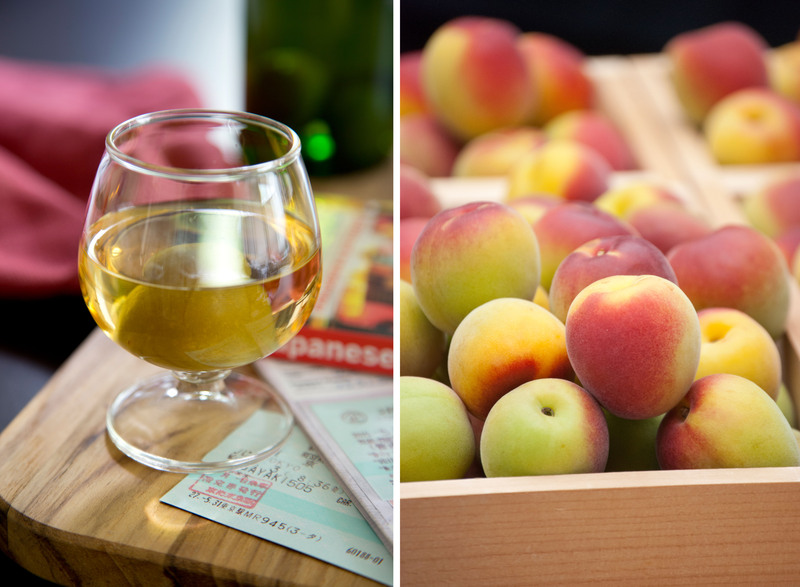 Categories: Travel | Tags: apertif, chilled, choya, japan, Kumano Hongū Taisha, plum, plum wine, sarah belanger, Shinto, Tanabe, the jealous crumpet, ume, umeshu, Violet Henri, wine | Permalink.